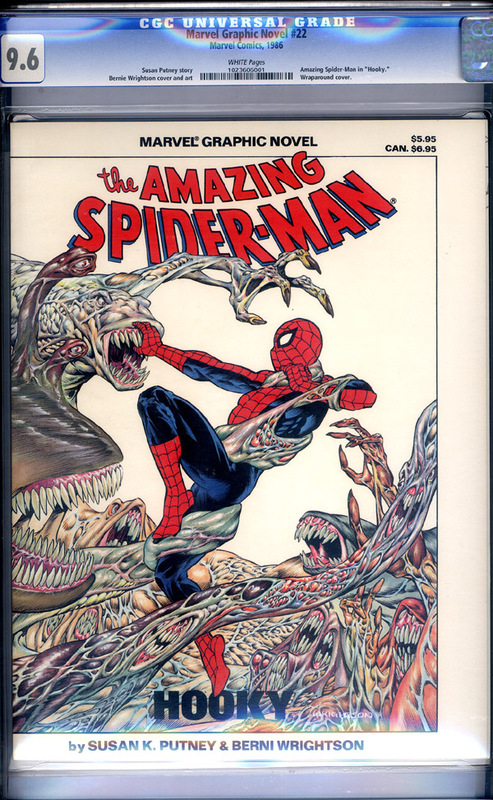 Spidey stars in "Hooky" with cover and story artwork by Bernie Wrightson. Super-Killer copy sports full, bright colors and gloss with razor sharp corners and edges. Spine is immaculate, pages are perfectly white and fresh and eye appeal is simply outstanding. This copy could have easily come back a 9.8!